On track for making most of my Christmas gifts this year handmade! 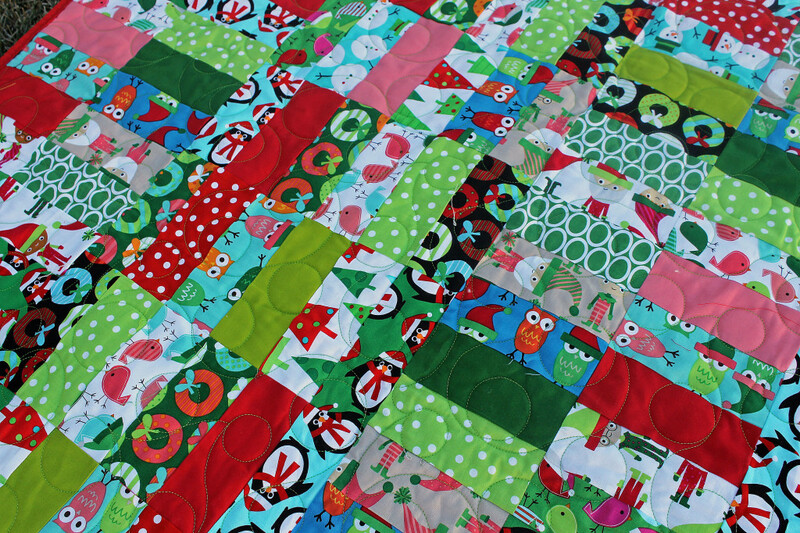 I made this Christmas quilt for Mila’s grandma using the free quilt pattern from Jolly Jabber blog hosted by The Fat Quarter Shop. 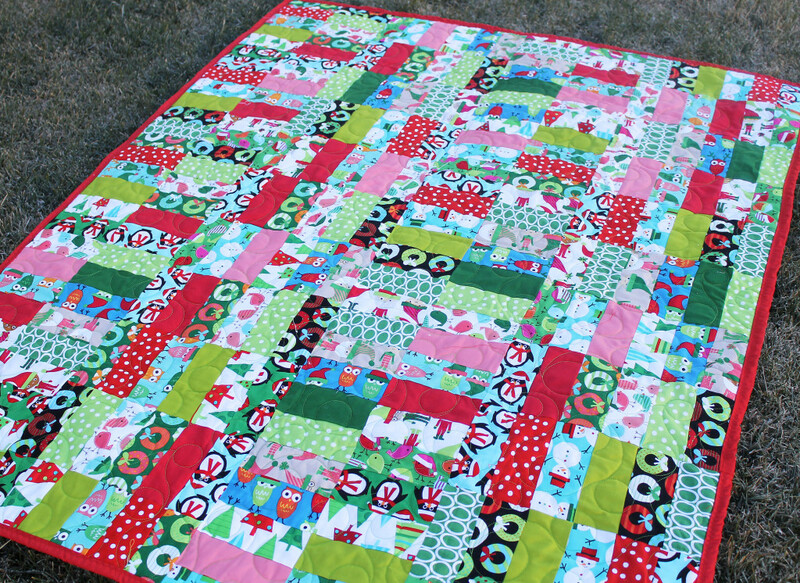 You can find the Jelly Roll Jam pattern here to create you own jammin Christmas quilt. 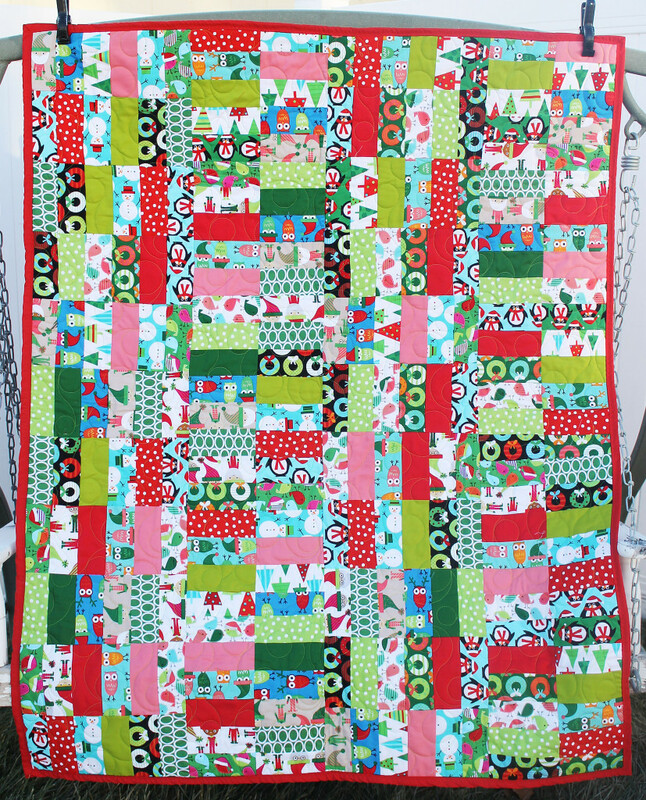 I used the Jingle Jelly Roll from Ann Kelle also purchased from The Fat Quarter Shop. I have to say, this was a really fun pattern to put together. I love the Christmas colors and patterns. It wasn’t as hard as I thought it would be; only took about 5 hours to make the top. This is definitely a pattern to try this season. I had Melissa from Sew Shabby Quilting quilt this together for me. She used the bubble pattern and I really think it worked perfectly for this design. With a contrasting green thread it compliments the Christmas theme very well. 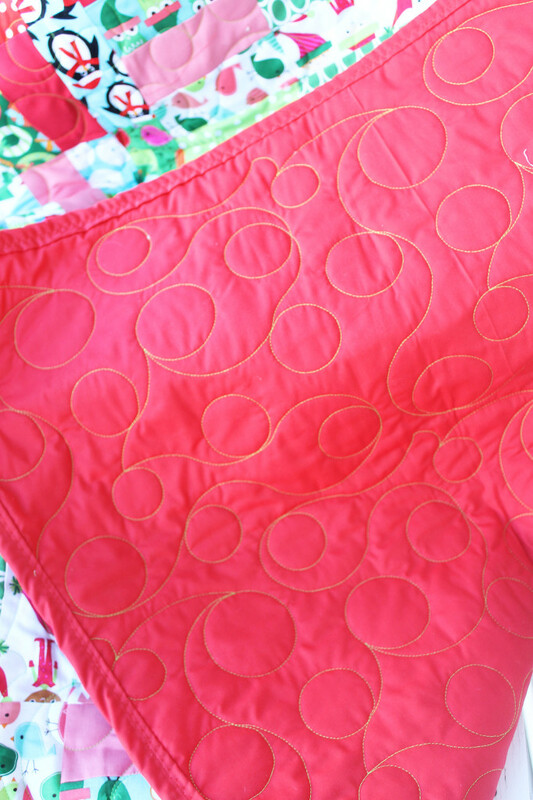 With this quilt pattern, you really don’t have to worry too much about things lining up. The pieces fits themselves perfectly once you align your blocks together. So there you have it-The Jelly Roll Jam pattern! Please share a pic if you try this one. I would love to see it.